Before you begin working your way to foreign language fluency, it helps to understand the culture behind the language you’re learning. After all, language exists to help a group of people express their ideas and beliefs. Italy is an old country with a rich history and culture. As you begin your Italian language program, gaining a strong grasp on this history, the values, and the etiquette will help you rapidly achieve success. In particular, Italians have a unique attitude towards payment and banking in their country that you should understand before you arrive. While the lira was once the legal tender of Italy, that has changed with the country’s entrance into the Eurozone. Since 2002, Italy has seen a bit of an upheaval when it comes to currency. The country tends to be one that still values cash over all other types of payment. There are still quite a few places in the Italian countryside that do not accept credit cards. The real reason that Italy still leans so heavily on cash could be the continued presence of a strong black market. This country was the birthplace of the Mafia and there is still a criminal element that is almost celebrated by certain areas in the population. The key to making sure you have enough money when traveling in or through Italy is to not rely on one source of funding. You are going to want to carry both cash and cards so that you will be able to pay for whatever you want, where you want, and when you want. It also pays to know the banking hours of Italy. These are quite a bit different than what you are going to find in major cities in the United States. Banks in Italy tend to only be open from around 8:00 a.m. to 1:00 p.m. There are times when they will open for an additional hour in the afternoon, but this certainly not guaranteed. If you are planning on moving to Italy or spending quite a bit of time there, you’re going to want to know the usual rules that govern getting a credit card. MasterCard and Visa are among the major credit card companies, just as they are in the United States, though Italy also has its own credit card company called Carta Si. If you are a native Italian, you’ll know that credit cards are generally less popular than debit cards, but credit cards can come in quite handy. If you plan to live in the country for any length of time, you are going to want to make sure to open a bank account. Of course, if you want to open one of these accounts you are likely going to have to prove that you have indeed moved into the country with a certificate of residence. Before you make the move to Italy, you might want to check out a bank that has overseas branches such as Banca di Roma. Establishing yourself as a customer here will allow you to make the transition that much easier. If you can make friends with a native Italian, all the better. Most people believe a personal approach, such as going to a bank with a friend that is already a customer will move the process along faster and more efficiently. As a foreigner, you are going to need to have a valid passport, a valid residence certificate, and a utility bill or rental contract to prove you really do live there. Just how much of a stickler for the rules a bank is going to be is up to that business. There is also the realization that some places will have a little more leeway because they are a smaller company and don’t have a national presence. 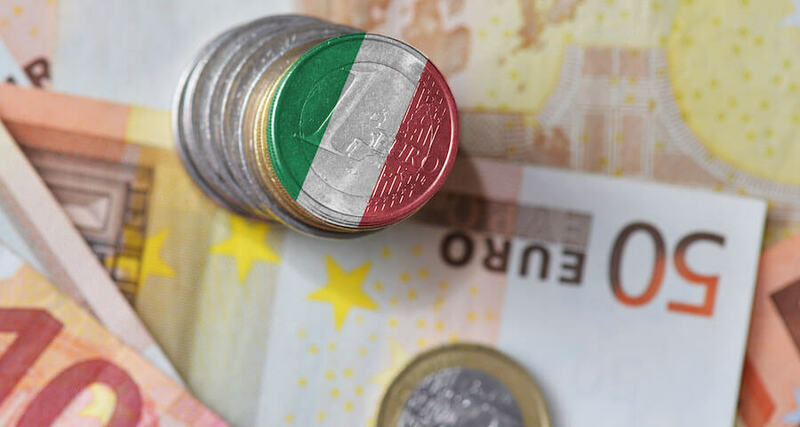 Bigger Italian banks are going to have more customers and will stick to their rules closer than smaller Italian banks, and larger banks are looking for a bigger client base. This means it will probably be easier to get an account with a smaller company to avoid the loops and stricter regulations required by bigger banks. If you are thinking that you don’t need to worry about hitting a bank when it’s actually open because there will be plenty of ATMs for cash, think again. While Italy does have these items all over the country, they are not nearly as reliable as they are in North America and other parts of Europe. In Italy ATMs are called “Bancomat,” and they are usually on the CIRRUS and NYCE markets. The “Bancomat” tend to run out of money, or are not checked very regularly to make sure they are in working order. Italians tend to know that if they need cash on the weekend, they are going to have to get in line at their local “Bancomat” fairly early. If you do decide to forgo trying to get instant cash from one of these machines, it’s important to note there are still numerous annoyances when it comes to banking. When looking for places to exchange currency, be aware that different locations are going to have different rates. For the most part, airports and change machines tend to offer the worst exchange rates. Banks offer the best exchange rates in the country and if you can find a post office that doesn’t have a line out the door, you are going to get the absolute best fees. Some Americans have found that going into a bank is quite intimidating. These places tend to put their armed guards and security services up front and center in order to scare away any people who might be planning criminal enterprise.